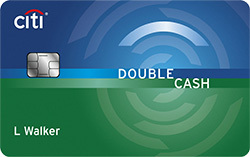 You can earn points, miles or cash back every time you spend with many credit cards today. 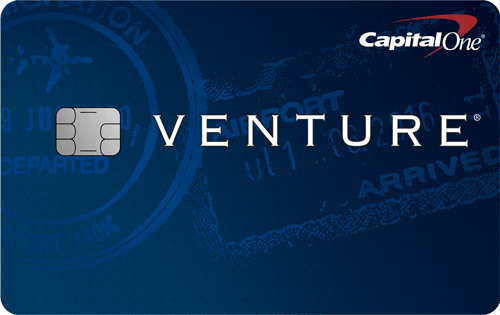 But did you know that there are other perks that add even more value to your credit cards? Below, we look at myriad perks available on cards and how they work so you understand exactly what’s in your wallet. Take a look, and then go online and read the fine print on your credit cards because you may be leaving valuable perks — and even money — on the table. Some cards in the luxury category offer you an airline fee credit each year, typically between $100 and $300 a year. This credit can be used for spending on things like airline change and booking fees, checked bags, airport lounge passes and memberships, seat selection, in-flight food and beverages and incidentals. Some cards go even further by covering airfares, hotels, motels, timeshares, car rental agencies, cruise lines, travel agencies, discount travel sites, campgrounds, trains, buses, taxis, limousines, ferries, toll bridges and highways and parking lots and garages. Check with your credit card company on how the credit works, when the benefit year begins and ends for the credit and whether it rolls over if you don’t spend it all. For more information, read about cards that cover airline fees here. One of the most popular things about carrying airline-branded credit cards are the perks that make you feel like a VIP when you’re traveling — whether you have elite status on a carrier or not. That includes things like priority check-in and boarding, a dedicated security screening line, a free checked bag and airport lounge access. And it’s even better if you’re allowed to share it with the traveling companions of your choice — the more, the merrier. If you’re a regular traveler, being enrolled in either of these expedited passenger screening services can be real timesavers. Some travel-branded and airline credit cards give you up to $100 every five years to cover the fee for either program, depending on which one you choose. Having Precheck could be the difference between making and missing a flight, and Global Entry is your escape from long immigration lines when arriving back in the U.S.
You get off the plane, go to the luggage carousel and your bag never arrives. If your bag is delayed by at least six hours, your card could cover the cost of necessary personal and business items for up to $500. If your baggage is lost, stolen or damaged, then you can get a refund of the purchase price of your missing items or the cost to repair or replace the damaged items, whichever is less. The current rate, set by the U.S. Department of Transportation, is up to $3,500 per passenger for domestic and $1,536 per passenger for most international air travel ($2,000 per bag for New York residents). These benefits are good as long as you use the card to pay for your travel. Check your card’s website on how to file a reimbursement claim. Nothing is worse than getting sick or injured while on a trip. If that results in you needing help, some luxury credit cards will cover the cost of medical services and transportation, up to $100,000. They also cover things like emergency medical and dental treatments, prescriptions, hospitalization arrangements and coordination of arrangements for surgery when necessary. Your card may have cost limits or require you to pay for some of the services, so give them a call before a trip and check your coverage. If your airline, bus, cruise ship or train trip is delayed for between three and 12+ hours, you can be reimbursed for expenses like meals and lodging. You can get up to $500 per ticket to cover these expenses as long as you use the card to pay for your travel. There are different rules for covering spouses and dependent children under age 22, so check with your card to see how you’ll be reimbursed. You’re at the airport and your trip has been canceled or you’re forced to cut it short. If the card you used to book the flight has this benefit, then you may be reimbursed for your costs if the cancellation was caused by sickness, severe weather or other covered situations. In those cases, you can get up to $2,000 per trip for prepaid, nonrefundable travel expenses, including passenger fares, tours, hotels, ferry, train, bus or cruise ship. But be warned — you must return any unused vouchers, tickets, coupons or travel privileges you may have received. Read your card’s terms and conditions to see exactly how you may be covered. For a complete roundup of credit cards with travel insurance, click here. These are two popular benefits that more cardmembers should take advantage of because both could save you money. If you charge your car rental to your card and decline the rental company’s collision damage waiver insurance, you’re covered for things like physical damage, theft, towing charges related to a covered loss and loss-of-use charges incurred by the rental car agency. If you’re driving your own car and you get in trouble on the road, a call to your card’s roadside dispatch can help with things like a dead battery, a flat tire, running out of gas or a locksmith. If you require more repairs, cards don’t cover those costs. This is one of those perks that most cardmembers either don’t use or have no idea exactly what services they can offer. Concierge benefits often include 24/7 access to services like trip planning, tickets to sports and entertainment events, recommendations and reservations to restaurants, help finding gifts, scheduling contractors and other personal tasks. Check out our roundup of the best credit cards with premium concierge services here. Check your card — you may qualify for elite status at major hotel chains. Elite status gives you perks like bonus miles for hotel stays, early check-in and late checkout, room upgrades, premium in-room Wi-Fi and access to premium lounges. Let’s say you buy an item with your eligible card and it’s either damaged or stolen within 120 days of purchase. That item will be covered for an amount set by your card. If you buy an item and decide to return it but the retailer won’t allow it, your card may cover the cost within 90 days of the date it was purchased. Be sure to check with your card to see what items are covered and what the reimbursement limits are. We all want to make sure we’re paying the lowest prices on the things we buy. If you have a card that offers price protection, it will search for lower prices. If it finds one within 60 days, you’ll get a refund of the price difference. This is another one of those perks that are offered by many credit cards that you may not know about. When you buy eligible items that come with a warranty of up to five years on your card, that warranty can be extended for up to another year. Cellphone companies are always trying to sell you insurance to cover damages, theft or loss. But if you have a credit card with Cellphone Protection as one its benefits and use it to pay your monthly bill, you can get coverage for up to $600 per occurrence and $1,200 per 12-month period after paying a deductible. Access to these are being offered by more credit cards as consumers watch their finances more carefully. Depending on the card, you can get free monthly access to your FICO® score and a credit report for free on a company’s website or mobile app. Disclaimer: The above offers and/or promotions may have since changed, expired, or is no longer available. Be sure to check your credit card-specific Terms & Conditions.